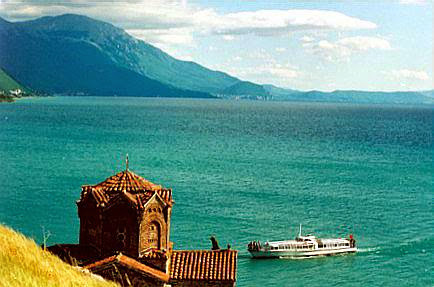 Arrive in Ohrid. Meeting with our representative and transfer to hotel. Check in to your hotel and refresh. After the dinner Welcome Cocktail for all participants and program briefing in hotel Flamengo. Transfer to hotel . Overnight. After breakfast is organized sightseeing in old part of Ohrid, world cultural heritage protected by UNESCO. In 3 hours walking tour is included visiting churches-museums, fortress, ancient theatre, old craft workshops for pearls, hand-made paper.. Time for leisure and shopping in the center of the city, pedestrian street and lake side bars. Transfer to hotel. Early dinner and preparing for Grand concert in the Ancient Theatre (open stage). The Theatre has been stage for performances in 2 cen. B.C. during the Ancient Macedonia and later in Roman Empire. Great acoustic area with a wonderful panorama for the visitors. Depart Ohrid after breakfast and return fo home. Optional organized excursions for choirs which stay longer, on request.